I don’t know about you guys, but for me, when I was a child, there was a distinct line between books I read for pleasure and books I read for school. I assumed that assigned readings were, by nature, a little more dull than the books I normally read. The classics might have been important, but they weren’t quite as entertaining as, say, the City of Ember. As all readers do, I soon realized that my assumption was incorrect. According to Ponyboy, there are two kinds of people in the world: greasers and socs. A soc (short for “social”) has money, can get away with just about anything, and has an attitude longer than a limousine. A greaser, on the other hand, always lives on the outside and needs to watch his back. Ponyboy is a greaser, and he’s always been proud of it, even willing to rumble against a gang of socs for the sake of his fellow greasers–until one terrible night when his friend Johnny kills a soc. The murder gets under Ponyboy’s skin, causing his bifurcated world to crumble and teaching him that pain feels the same whether a soc or a greaser. 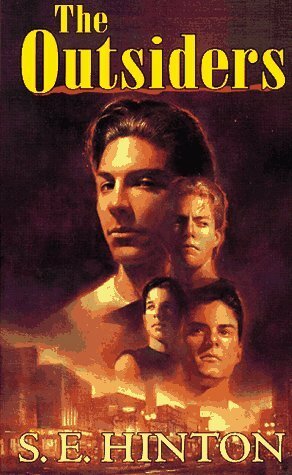 Although the Outsiders might not be the most sophisticated book in all the world, it had a profound effect on me. I read this in seventh grade, just when reading started to become less of a pastime and more like breathing. As we began studying it as a class, I was surprised to find that this assigned reading was rather, well, enjoyable. I was surprised to find that the book touched my heart. I was surprised to find myself relating to the characters, despite how their lives were vastly different from mine. My English teacher made a smart choice in assigning the Outsiders, I think. Because the main characters are teenagers, it made it so much easier for our class to enjoy and sympathize with the story. It was a smart way to introduce us to “important” books that had before seemed so distant from us. In that class, I realized, for the first time, that those important books were not just important to some grand literary society, but that they could be important to me. And this book really was so important to me. It was one of the first books to teach me about sorrow and heartache, about how much life can hurt, about how we can make it better. Plus, Ponyboy is just the sweetest boy. A small part of my heart will always love him. Thanks for sharing your story about this book. I wish a teacher would have assigned this one to us. I ended up reading it much later, and then just again recently. It’s so good!